If you ski regularly at Heavenly, Northstar or Kirkwood, consider getting an Epic season pass. It includes unlimited lift access to those resorts, Keystone and the other Vail resorts (plus Canyons) with no blackout dates. They have other versions based on your area, which are more limited. Season passes are no longer available for this season, but keep it in mind for the future. 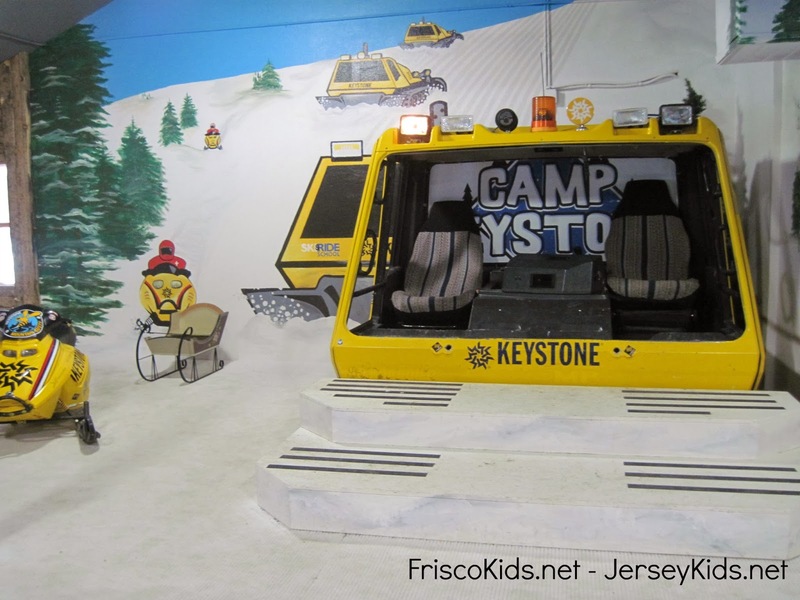 You can rent your skis at Camp Keystone, which is a very nice feature. You can see the ski rentals on the right and left. 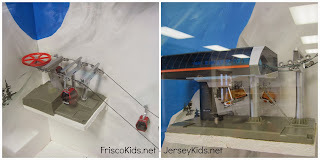 Skis and lift ticket are not included in the lesson cost. Our kids had a maximum of six in their class while they were there, even on a Saturday. The full day ski camp provided lunch. One day it was Domino's Pizza, and the kids didn't think they got enough to eat (three small slices). I had packed their pockets with cereal bars, so they also munched on those. The second day they were offered ham and cheese or turkey and cheese sandwiches, and they said it was enough food for them. 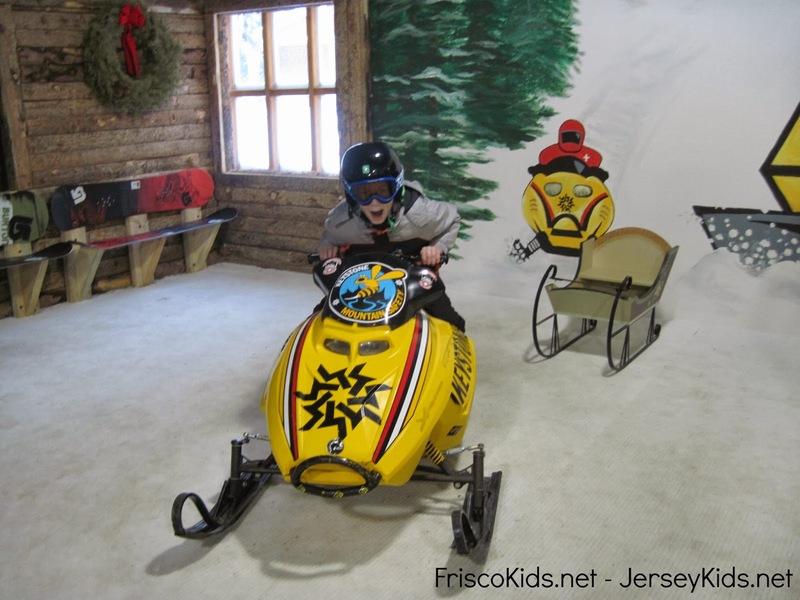 At the end of the lesson, you pick up the kids outside in the ski corral, and the instructor will walk you through what happened that day, what skills they learned and where they'd go in their next lesson. They gave us a report card, with items checked off (see the report card at the bottom). 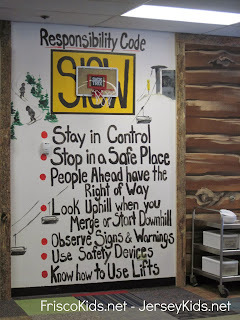 It's also all on the EpicMix website, and you can track your child's progress in terms of skills, ski level, what lifts they rode, who their instructor was, and what "pins" they earned. For some kids this might be a motivation. 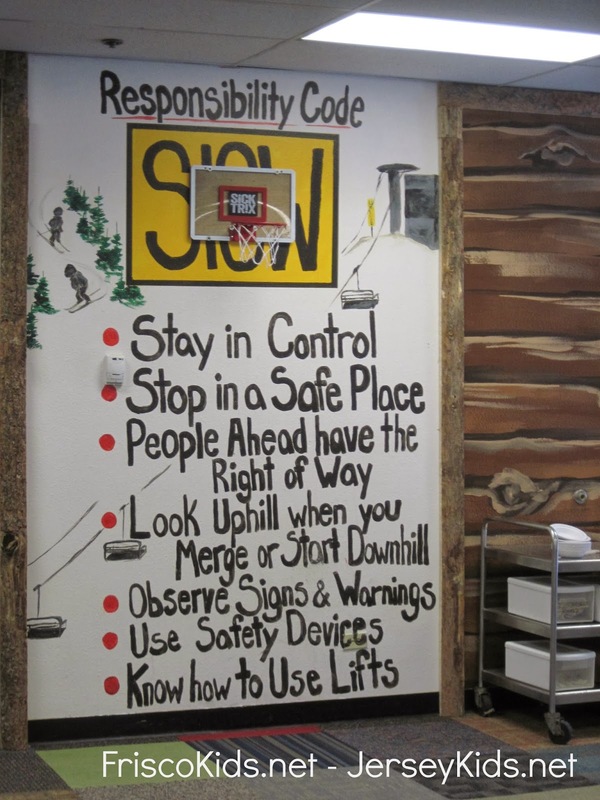 It's also helpful next time you go to enroll them in ski lessons, if your memory is faulty! If you enroll in Camp Keystone three or more days, your child is guaranteed to have the same instructor. My kids had two different instructors, which was fine. 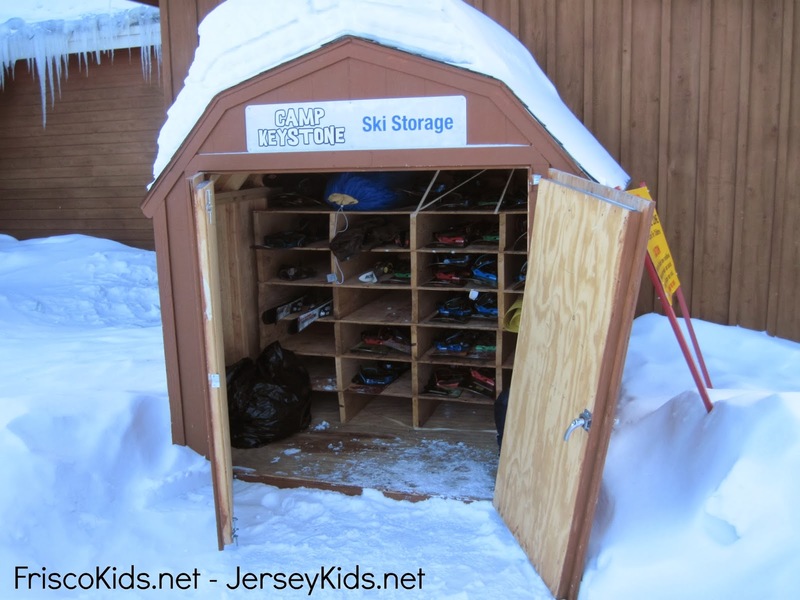 Overnight, they locked up their skis in the locker outside, which was nice because we didn't have to bring them back with us. Technically you can also leave your ski boots inside, however we were warned that there was a group of 500 kids coming from Denver on Saturday, and it would be easier to take our own boots with us. 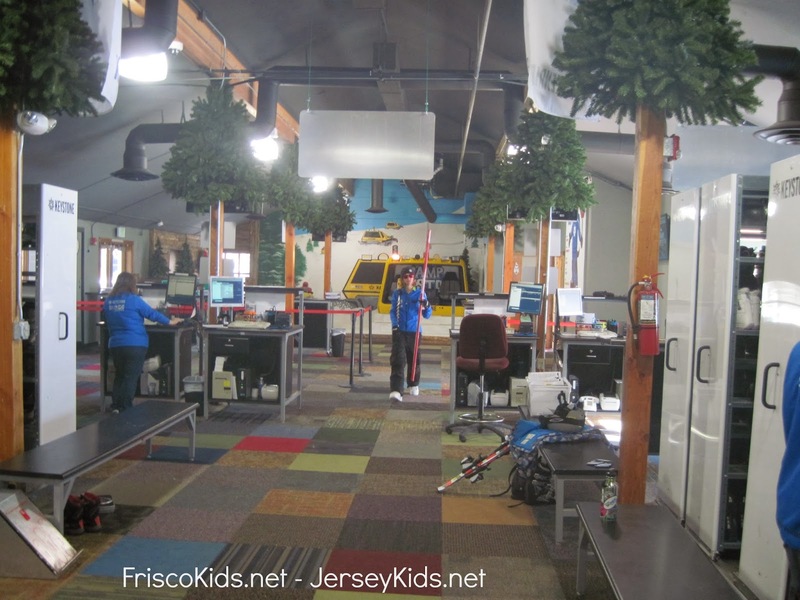 Camp Keystone accommodates kids ages 3-14. My 12 year old felt very old there, and thought the environment was too babyish for her. Looking around, I can see that it was. However she still got good instruction, and is in that in-between age where she's not a kid, but not yet an adult. 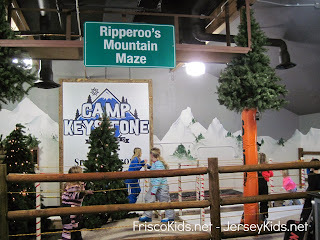 The Ripperoo maze was a fun way kids to burn off some energy and go on different "terrain" while still staying warm inside. In addition to traditional skiing/boarding and using the magic carpet and lifts to get up the slope, they have some on-mountain activities where the kids can ski up a snow wall, and take advantage of different terrain on the Schoolyard section of the Schoolmarm trail (designed for learners). 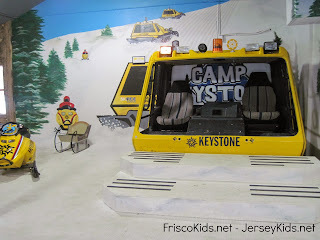 Keystone offers CAT skiing, where they drive you up the mountain in a CAT, and you ski down. 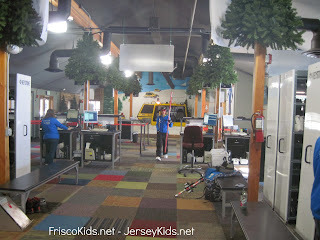 They had a cab here for the kids to play in. It's a great photo op! They had a very cute miniature mechanical ski lift that ran, which was fun to watch. It's inside Camp Keystone. 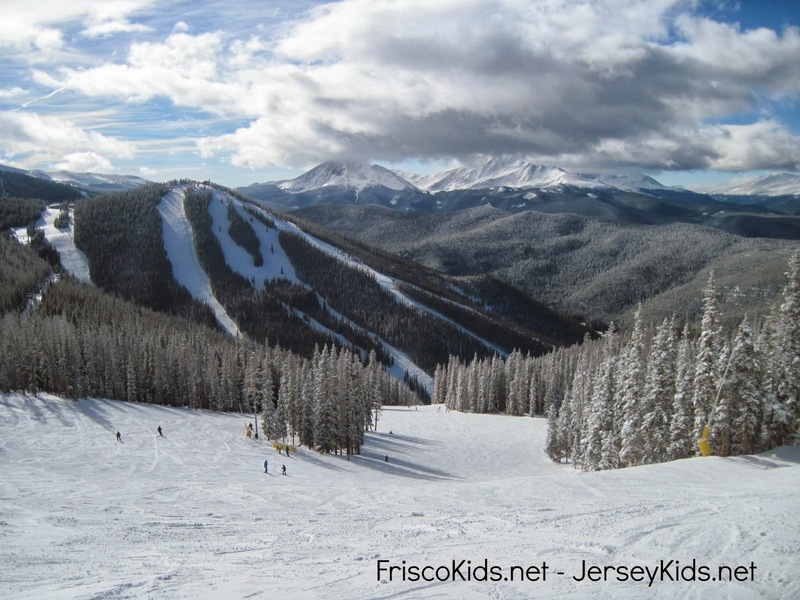 Keystone has a wide range of trails, and three mountains. If the weather is bad (as it was for two of our three days there), experts advise you to head back to the second and third mountain, which are more sheltered, i.e. less windy and with better snow. There aren't green trails on those mountains, though, so we didn't bring the kids back there. But there are plenty of blue trails and beautiful views. We made it back there during out beautiful day. A view from the back mountains at Keystone. The information from the ski lesson is input into the EpicMix website, and you can check out your vertical feet, number of lifts taken, see pins earned, view photos take of you, and check ski and snowboard school information (instructors, classes taken, levels completed), track your racing results, share your photos on Facebook and Twitter, or pay a fee to download the photos.